In 2016, the number of alleged sexual assaults on cruise ships departing from the United States soared to 63 compared to just 13 the year before — a 384% increase. This disturbing data comes from the Cruise Line Incident Reports filed quarterly, in compliance with the Cruise Vessel Security and Safety Act (CVSSA). Never heard of the Cruise Vessel Security and Safety Act of 2010? Don’t worry, most people haven’t. 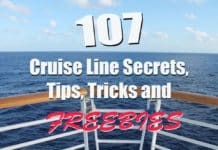 The act was a piece of legislation that mandated cruise lines operating in the United States regularly report crimes occurring aboard their ships to the FBI. Each quarter, these reports are made public and posted on the U.S. Department of Transportation’s website. Every crime reported is alleged, so it’s not a perfect snapshot of what actual crimes do take place. Furthermore, if crimes don’t fall into one of the eight categories listed above, then they won’t appear on these reports. Still, this gives passengers a good insight into the safety of cruising, and the last year of data points to a disturbing trend. To be fair, while any sexual assault is too many, considering that more than 11 million cruise passengers embark each year, the alleged incidents are relatively low. Your chances of being a victim are only about 1 in 175,000 passengers. Still, the sharp spike is disturbing. So what is going on? The good news is that it’s unlikely cruising is getting more dangerous. The bad news is that we may actually be seeing more realistic numbers of crimes, given a recent change in how crimes are reported to the public. As mentioned, the Cruise Line Incident Reports are filed quarterly for the public to see. However, in between 2015 and 2016 there was a major change in how alleged crimes were reported. In other words, if a crime was alleged but not investigated by the FBI, then it wasn’t included in the quarterly report. If a crime occurred and was still under investigation, it also wasn’t reported. This meant getting an accurate count of alleged crime aboard cruise ships was inherently flawed. An improvement was made starting with the 2016 quarterly reports. Now, each quarterly report includes “ALLEGED CRIMINAL ACTIVITY OCCURRING ON BOARD CRUISE VESSELS”. This new reporting now includes alleged crimes even if an investigation isn’t opened by the FBI or if it is still under investigation. This change in reporting is likely the reason for the sharp increase in reported sexual assaults in 2016. So does this sharp rise in sexual assaults mean that cruising is dangerous? In our opinion, no. Compared to major cities, cruise ships see about the same level of crime after accounting for population. In absolute numbers, the incidence of crime is still extraordinarily low. However, it does serve as a reminder that just because you are on vacation doesn’t mean you should leave your common sense at home. 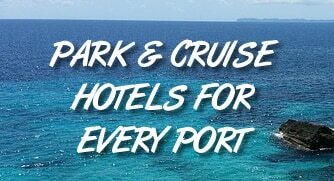 We continue to believe that cruises offer one of the safest vacations around, but just like vacationing anywhere, you should be aware of your surroundings, and don’t take risks you wouldn’t take back home. For more on the safety of cruise ships, read our article “How Safe is Your Cruise?“. You can view the quarterly Cruise Line Incident Reports here.